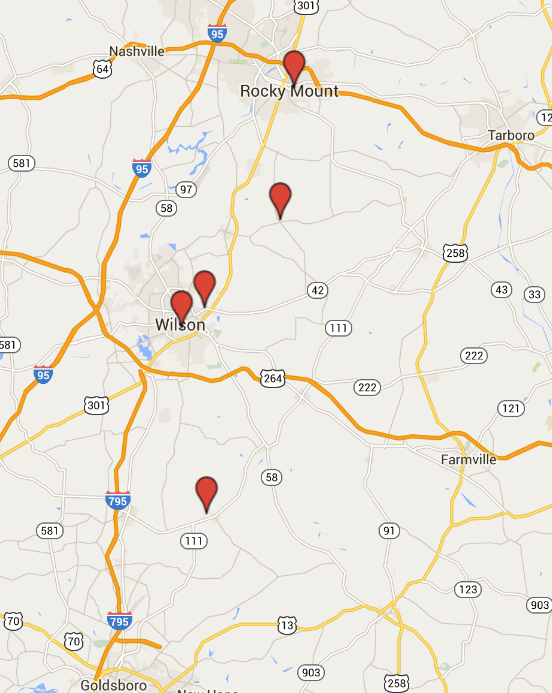 Wilson NC | Scuffalong: Genealogy. 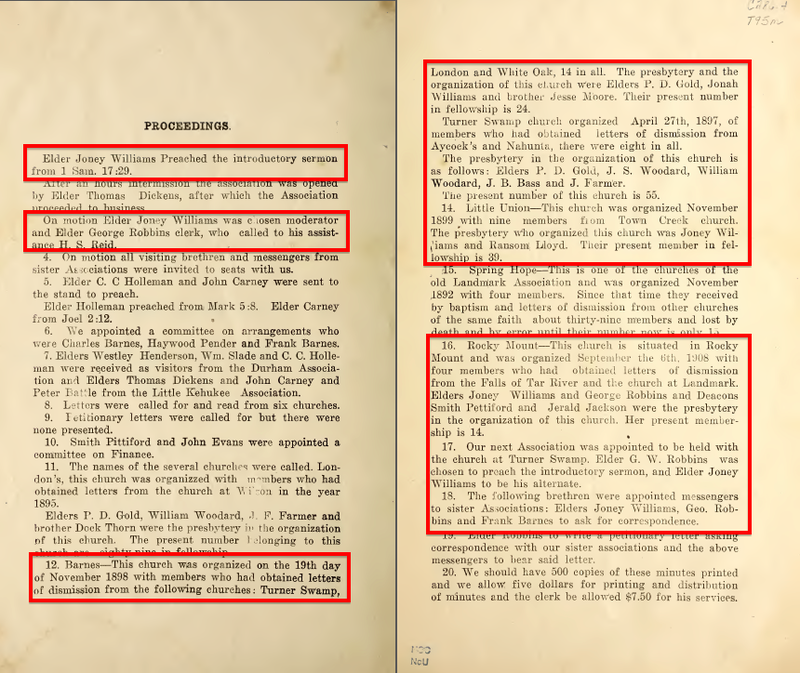 Wilson NC – Scuffalong: Genealogy. It felt like a weight fell off of her. Papa asked Mama would she come back ‘cause the café wasn’t doing nothing, and she’d put all her money out, so she told Papa she’d come back home. And she come back, and, I don’t know, she seemed kind of puny and sickly. 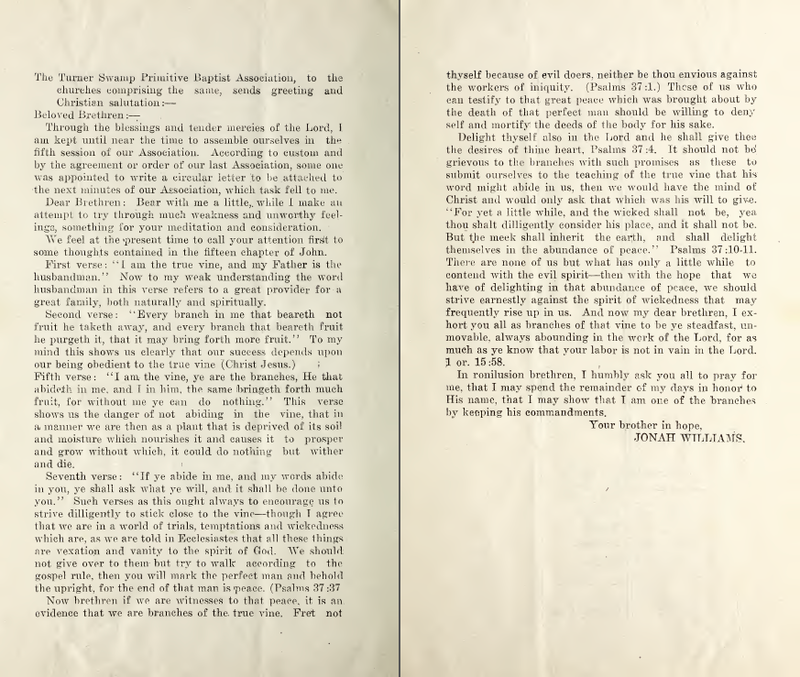 Papa said, “Well, a old man came here and he said he – Well, you come back just like the man said.” And she said, “What man?” And he said, “Well, somebody told me, said go out there and see somebody called a rootworker,” or, well, he didn’t call it rootwork, but see some person like that. And said maybe he could make her come back. And he said — well, I don’t know what he paid him, but anyway, he said he gave him stuff and told him to bore a hole in a tree on the north side and put that stuff in it and take and put a corkscrew in it. To make it stay in there. And for him to, I think he told me, for him to wet on it for nine mornings or something like that, and she would come back. Well, she come back, and she said, “Well, how come you didn’t take the mess out?” Well, he was arguing about it, saying something about it, and what I did, I got the ice pick. And went out there to – we had a peach tree and a apple tree. It was in the apple tree, and I went out there and looked around sure enough it was a corkscrew, great big one ‘bout like that there, stuck up in there, and I took that icepick and picked it out. And it come out this little trashy stuff in this cloth. And it was part of Mama’s underclothes. [We laugh.] And I think it come off – you know at that time they had a lot of lace and stuff — and one of them little pieces cut off where was the lace was up there, and he wrapped it up and put in that…. Least the man fixed it for him and told him how to bury it in the hole. And Mama, and I don’t know whether it was so or not, but she said when that stuff come out of that hole, felt like a weight fell off of her. I’ll never forget that thing. And the tree died. So, I said I don’t know whether it killed the tree, but it didn’t kill her. And Mama told me if that thing stayed there long enough [inaudible] in that mess, she’d a died. For a scholarly in-depth study of hoodoo and root work, see Katrina Hazzard-Donald’s Mojo Workin’: The Old African American Hoodoo System. The first of a new series of posts, many drawn from my Tumblr, that attempt to evoke the settings of my family’s lives through photographs. Wilson, North Carolina, April 2011. I was at home, prowling the streets on a limpid blue morning, when out of the corner of my eye, this window. I wheeled around, parked and nosed about. The house was a shotgun, one of hundreds built in East Wilson pre-World War I to house a flood of ex-farmers trading tobacco fields for tobacco factories. The house had been abandoned as a regular home, but showed signs of fairly recent usage as a shelter for the homeless or perhaps those otherwise wanting to keep their business out of sight. The door had been ripped from an interior room and laid against an empty window frame, which faced the street on the broadside of the house. 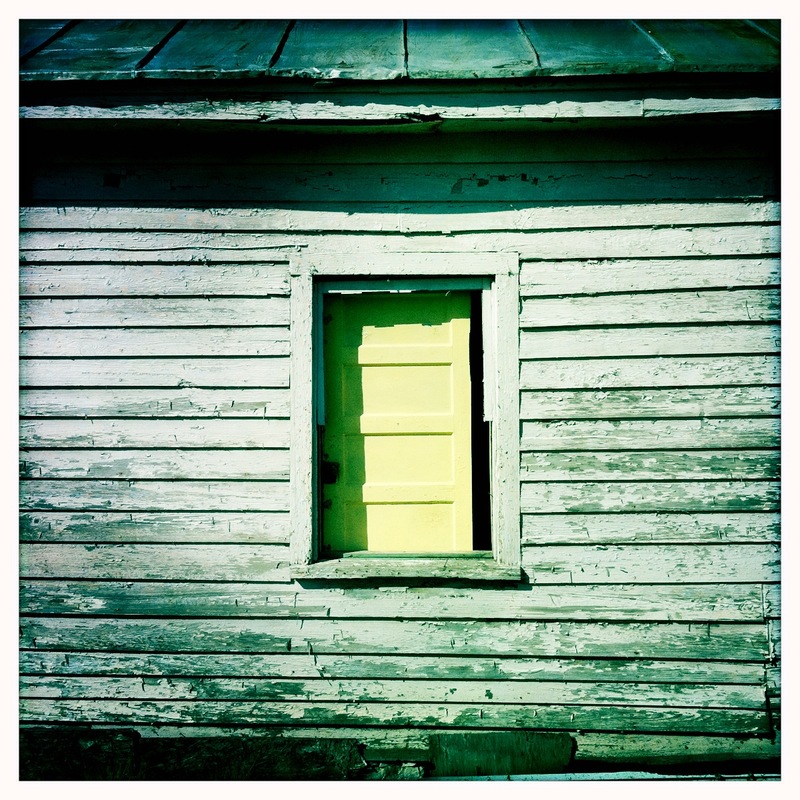 The door’s cool, lemony yellow was a calming contrast to the rough grayness of the house’s siding. When I went home next, the house was gone. 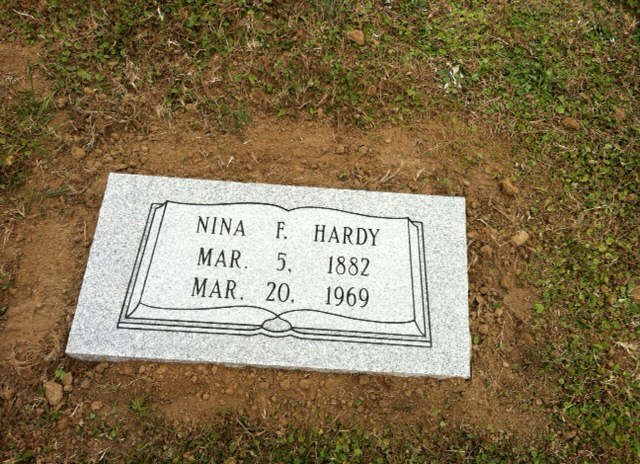 A couple of weeks ago, I blogged about looking for my cousin Nina Frances Faison Hardy‘s unmarked grave and wanting to honor her by placing a stone. Today, I got a text from my cousin and an email from my mother with photos. My cousins’ business, Eastern Carolina Vault Company, installed the marker today and, after 45 years, A’nt Nina’s final resting place is no longer lost. 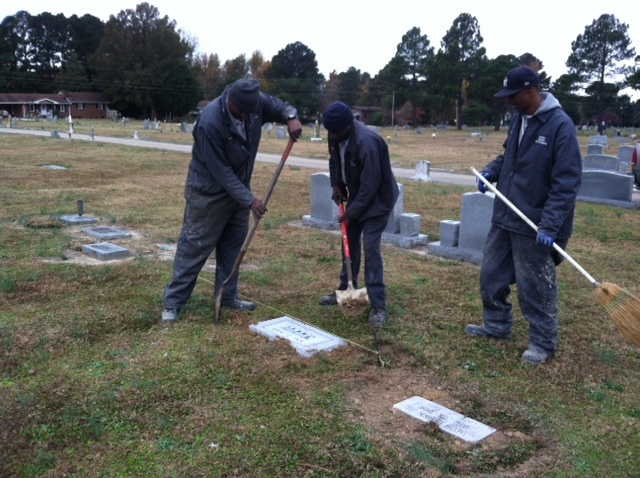 My cousins L., left, and T., right, and a helper install Nina Hardy’s gravestone today at Rest Haven cemetery, Wilson NC. 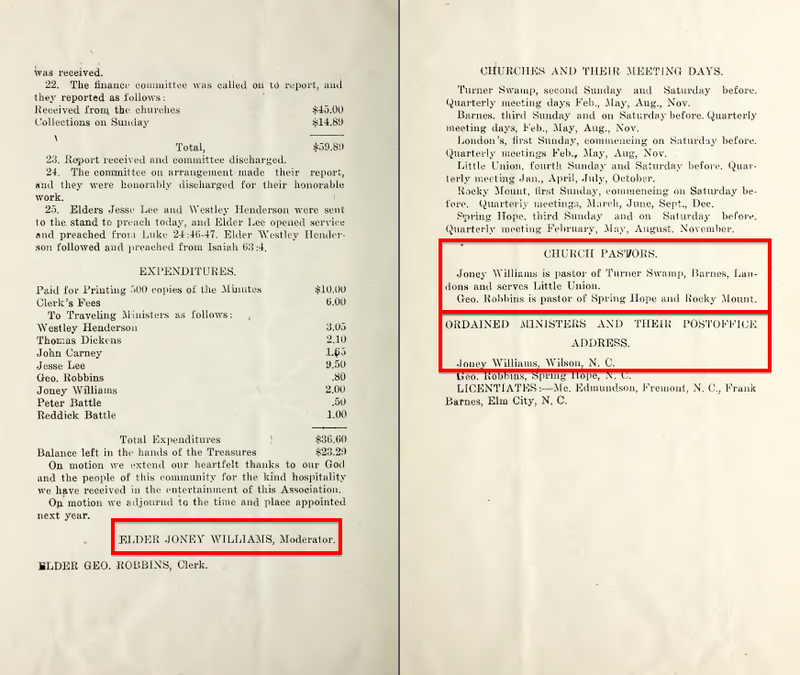 When A’nt Nina arrived in Wilson from Wayne County circa 1910, she lived for a while with Jesse and Sarah Henderson Jacobs, who reared L. and T.’s great-grandfather Jesse “Jack” Henderson and his nieces, my grandmother and her sister Mamie. The house at 114 West Lee Street belonged to my great-grandfather Michael (“Mike,” not “Mack”) Taylor. 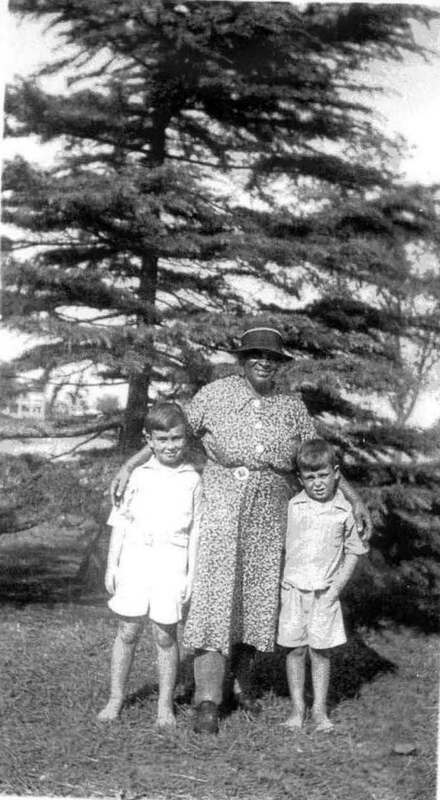 Bertha, Hennie, and Mattie were his younger daughters. Roderick was his only son. 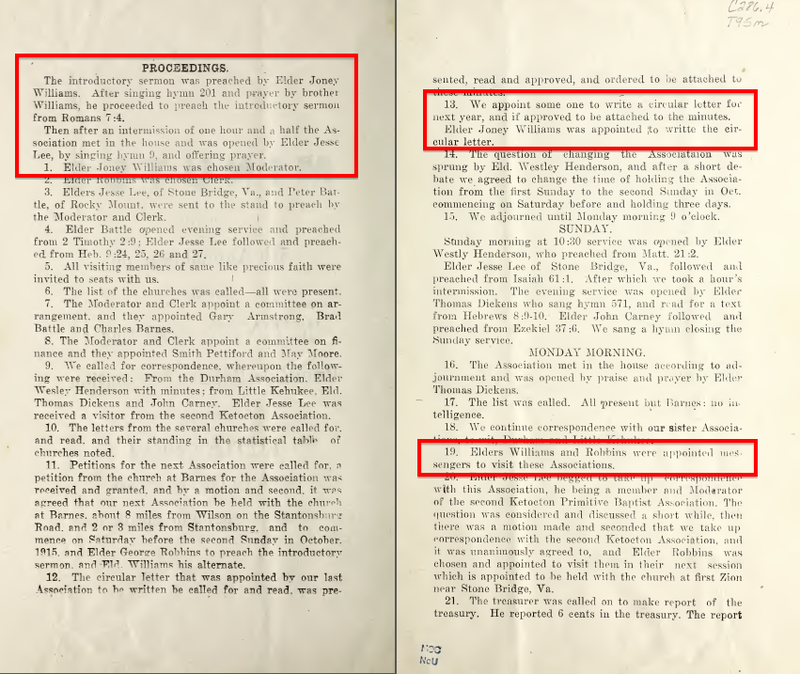 Jordan and Greeman, over on Stantonsburg Road, were Mike’s niece Eliza’s husband and son. But who in the world was Robert Taylor? Robert … Robert … An epiphany! Of course! This was Robert Perry, son of Mike’s wife Rachel‘s sister Centha Barnes Perry! The boy grew up in Mike and Rachel’s household and quite naturally he was sometimes known as Robert Taylor! … Right? So, who was this Robert Taylor who both lived in Mike Taylor’s house and worked in the same trade as Mike’s son Roderick? 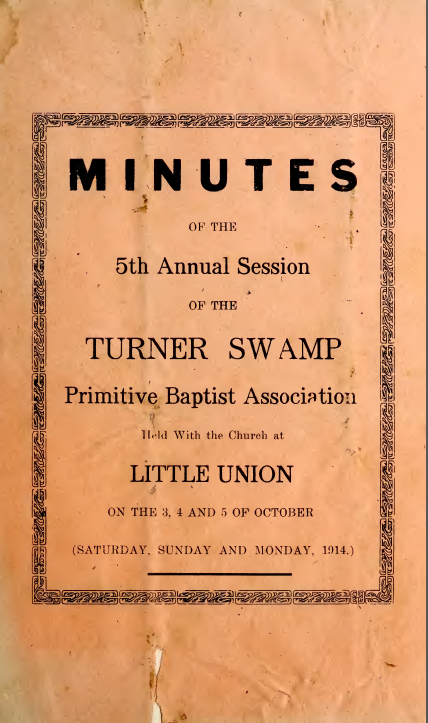 Census records do not show an African-American Robert Taylor in all of Wilson County in the 1900 or 1910 censuses. In 1920, however, there is Robert Taylor, age 36, a laborer, with wife Mary G., age 29, living at 611 Green Street. Now this is really puzzling. 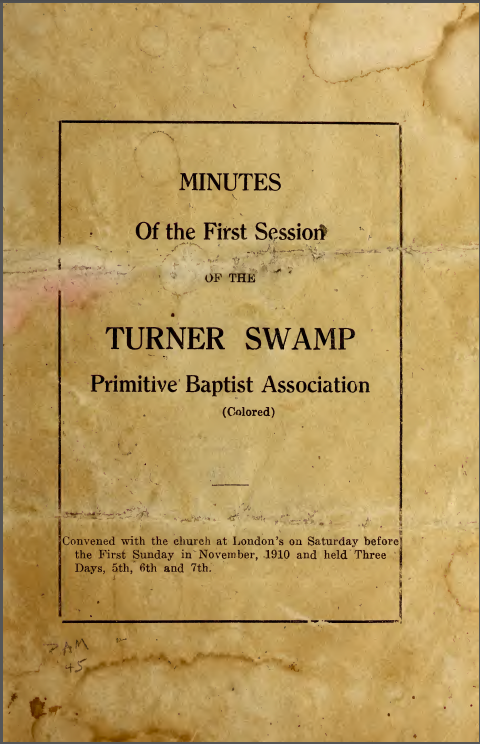 Two years earlier, when Roderick Taylor registered for the World War I draft, he stated his birth year as 1883, his occupation as barber, and his address as 611 East Green Street. There is no “Roderick Taylor” listed in the 1920 census, but in 1930, at 610 [sic, house numbers shifted in the early 1920s] Green Street, there is barber Roderick Taylor, 45, wife Mary J., 39, and three children. 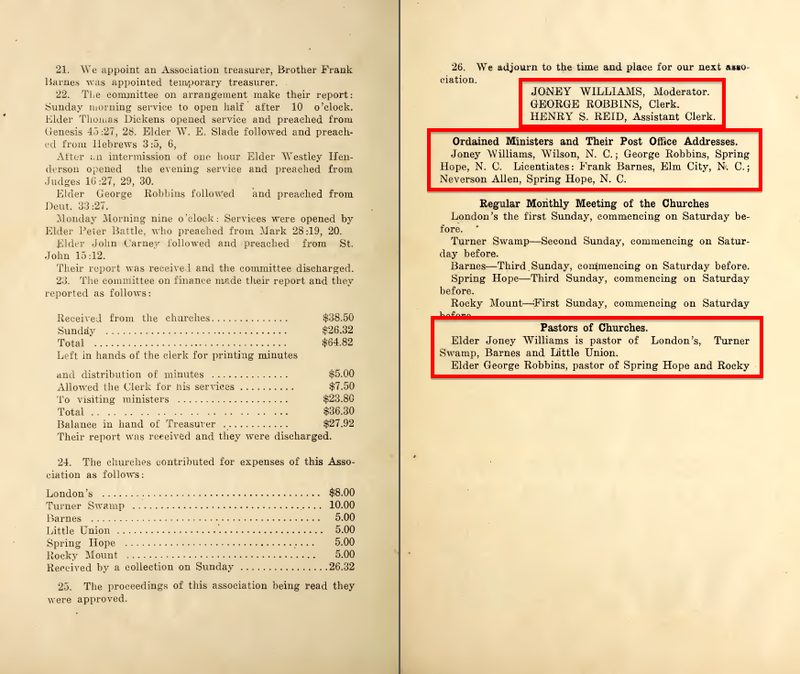 While it is conceivable that there were both a Robert Taylor and Roderick Taylor of the same age, living in the same houses, with wives of the same name and age, and working in the same profession, it seems unlikely. Rather, in an era in which “Roderick” was rare name, an inattentive census taker or canvasser might easily have heard “Robert” when making his inquiries. Absent further independent evidence that a Robert Taylor existed, I conclude that Roderick’s doppelgänger is a figment of error. A nice surprise came in yesterday’s mail — a copy of another photo of Aint Nina Faison Kornegay Hardy, courtesy of J.M.B. A handwritten note on its back identifies the two boys leaning into her and the date, 18 September 1939 — 75 years ago today. Here you can clearly see her right leg and ankle swollen over the sides of her shoes, evidence of the chronic pain and debility she suffered. Lymphedema, perhaps. Or maybe chronic venous insufficiency. Conditions difficult to treat even now, and then impossible. Always, though, that sweet smile.